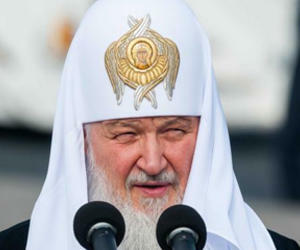 The Patriarch of Moscow and All Russia, Kiril, sent a message to the Cuban President Raul Castro, which was published on Monday by the Granma newspaper. The Patriarch of Moscow and All Russia continues to say that he will keep in his heart the noblest memories of his visit to Liberty Island, as well as the feelings of affection and hospitality of the Cuban people. I hope, continues the text, to have the opportunity to continue our talks in the future. I will always be ready and it will be a great pleasure to meet you in Moscow. It has been a great honor for me, refers Kiril on the text, to receive from your hands the highest decoration of the Republic of Cuba, the Jose Marti Order. I consider it as recognition and high esteem of the service of the Russian Orthodox Church. Particularly, reads the message, I want to thank you and the Cuban authorities for creating all the necessary conditions for my meeting with Pope Francis. I am sure that this event will open a new page in relations between the Russian Orthodox Church and the Roman Catholic Church. And concludes the text: I wish you, dear Mr. President, a lot of spiritual and physical health, in addition to success in the provision of such responsible service for the well-being of the Cuban people.